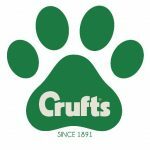 Crufts 2018 sees Alan hosting a daily afternoon show on Channel 4 for all dog lovers, joined by Clare Balding, throughout the four day competition, including a preview show on Wednesday 7 March. The fun-filled, hour-long show comes live from Crufts and features a range of four- and two-legged guests discussing everything there is to know about the world of dogs. Alan also fronts an hour-long documentary Scruffts: Britain’s Favourite Dog 2018. The programme is presented by Alan Carr and follows the heart-warming stories of the six semi-finalist cross-breed dogs, all competing for the title of Scruffts Family Crossbreed Dog of the Year.